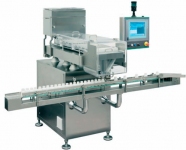 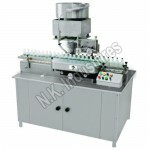 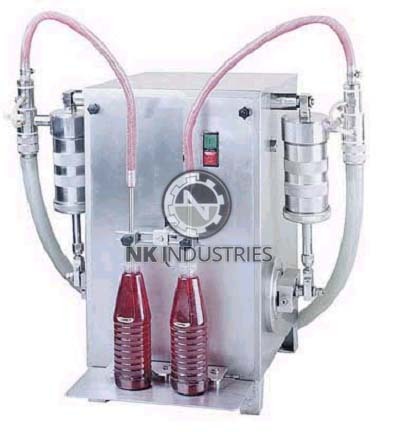 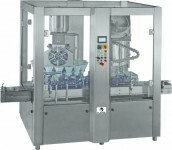 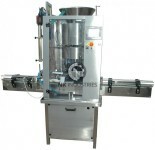 Semi Automatic tabletop Volumetric Liquid Filling Machine Model NKLF-30S is suitable for Round Bottle, Flat shape Bottles & Glass Vials with maximum speed of 30 containers per minute depending upon the human efficiency. 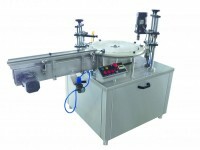 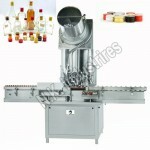 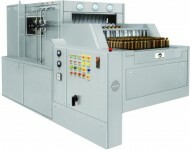 The output depends upon the various factors like nature of Liquids, Neck Diameter or Vial/Bottle and Fill Volume. 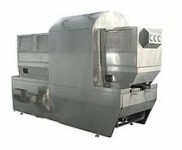 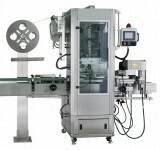 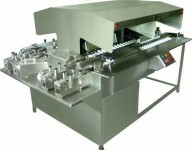 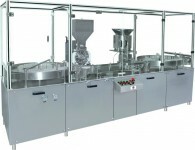 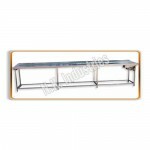 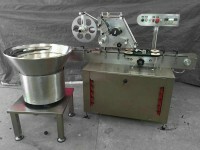 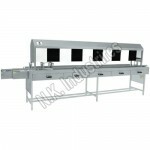 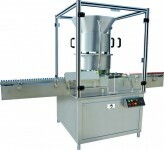 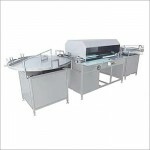 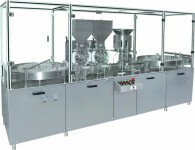 Machine structure is in Stainless Steel finish with double Head Operation. 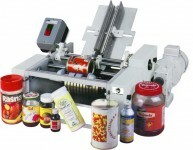 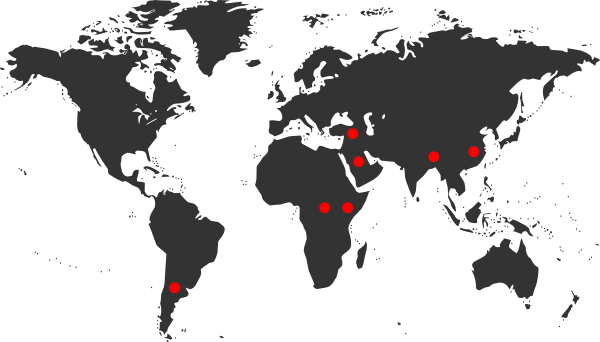 All parts coming in contact with Liquids are made from AISI 316L. 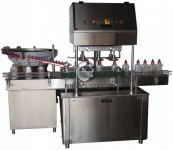 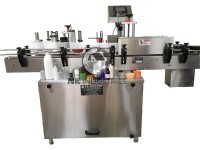 The Machine can fill from 5 ml to 1000 ml with different set of syringes. 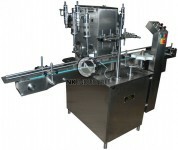 Machine Frame Construction Is Of AISI 304 & Imparts Vibration Free Operation. 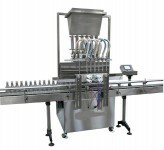 The Stroke Of Nozzle Holder & Height Of The Nozzles Is Adjustable For Achieving Smooth Entry And Exit Of Nozzles Inside The Neck Of Containers And Avoids Splash / Spillage Of Liquid Or Dripping At Sides. 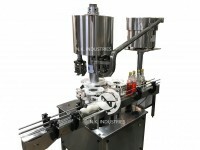 Wide Range Of Selection Of Syringes Available To Fill From 5 Ml To 1000 Ml. 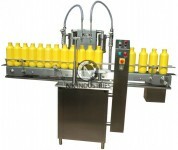 Accurately Designed Non Return Valve To Achieve Drip Proof Filling Result & Avoid Messy Platform And Containers.